Marijuana Use Is Becoming Legal. Is Your Company Prepared? In early 2018, recreational or adult-use marijuana became legal in Maine, making it one of many states that permit either medical or recreational marijuana use. As the number of states that allow the use of marijuana grows, potential problems for employers grow as well. Below we discuss three of the many issues employers face in light of the legalization of marijuana and then offer some guidance to help employers manage their workforce in light of lawful marijuana use by employees. Under federal law and many state laws, employers are required to provide reasonable accommodations to employees with disabilities to help them perform their jobs. With the rise of legal marijuana use, the question has been asked about how marijuana use affects an employer’s reasonable accommodations obligations. This was an issue faced by an employer in Massachusetts. In Barbuto v. Advantage Sales and Marketing, the issue arose of whether an employer could fire an employee for marijuana use when the use was to treat a disability. During hiring interviews, Barbuto told Advantage Sales that she used marijuana to treat a disabling disease. After she was hired and a drug test came back positive for marijuana, she was fired. The state’s supreme court ultimately sent the case back to the trial court with a recommendation that consideration be given to a reasonable accommodation of Barbuto’s disability. Although the outcome of the Barbuto case is still unknown, it is very likely that similar cases will be pursued in many other states where medical use of marijuana is permitted. Another uncertainty for employers is marijuana testing itself. Under federal rules, a test for marijuana is positive at 50 nanograms of THC (the active ingredient in marijuana) per milliliter of urine. However, this threshold can be reached days after an employee last used marijuana and after any impairment from it has passed. This is because marijuana stays in a user’s system longer than many other drugs, including alcohol. As marijuana legislation catches up to the initiatives that have ushered in legalization, states may set minimum thresholds, or “floors,” similar to alcohol testing. These “floors” may be used to determine whether employees have passed or failed marijuana tests. This is the case with Maine’s recent marijuana recreational use law. It provides for a “floor” in drug testing so that people who test positive for marijuana may not suffer employment consequences so long as the positive result goes below the established threshold. A related issue is that testing for THC also does not typically reveal the presence of cannabidiol (CBD), a marijuana product used to treat anxiety and seizures. CBD is illegal under federal law. Employers are, thus, left with no practical way to enforce applicable laws and rules against off-site use of CBD. Although many states have legalized marijuana use, it is still illegal under federal law. This creates several different issues for employers. One such issue arose in Maine in the case Bourgoin v. Twin Rivers Paper Company. In Bourgoin, a former paper mill employee, Bourgoin, sued to have his former employer pay for his medical marijuana. After an on-the-job back injury, Bourgoin was given prescription painkillers that were paid for by the company’s workers’ compensation insurer. The prescription painkillers had very limited effectiveness, and Bourgoin’s symptoms became so debilitating he considered suicide. He then turned to medical marijuana, which he found effectively managed his pain. Bourgoin sought to have Twin Rivers and its workers’ compensation insurer pay for the medical marijuana as it had paid for the prescription painkillers. However, Twin Rivers and its workers’ compensation insurer argued they could not legally pay for his pot as they had for his pills, because marijuana use remains illegal under federal law. The Maine Supreme Court has yet to issue a decision in Bourgain’s case. However, no matter how it is decided, the conflict of state and federal law remains. In the U.S. Senate, senators are trying to take steps to reduce the legal conflict. A bill titled the Strengthening the Tenth Amendment Through Entrusting States (STATES) Act has been sponsored by Senators Elizabeth Warren, a Democrat, and Cory Gardner, a Republican. Marijuana is legal in both Massachusetts and Colorado, which the senators respectively represent. While President Donald Trump recently remarked that he might support a change in his administration’s existing policy of enforcing federal marijuana law, including in states in which marijuana is legal, doubts remain whether the STATES Act will pass even if Trump decides to lobby for the bill and the Democrats win the midterm elections. Thus, for employers, the horizon remains cloudy. So, how can employers deal with all the uncertainty? Employers should establish a written drug-free workplace policy (DFWP) that articulates the requirements and expectations of employees regarding substance use and impairment while in the workplace. An example of DFWP language issued by the Texas Workforce Commission may be found here. When drafting DFWPs, it is recommended that employers focus on prohibiting employees from being impaired due to marijuana use while working instead of focusing on marijuana use itself. By focusing on impairment instead of use, employers will minimize the likelihood they will run afoul of state lawful use laws. Also, DFWPs should require employees to report any medical-related marijuana use to the employer so that the company can determine whether they need to make a reasonable accommodation while the employee is using. As part of DFWPs, employers must decide whether they are going to engage in drug testing. Employers that do not face significant safety and health risks from impaired employees may decide the risks of drug testing outweigh any potential benefits. For employers facing significant safety and health risks, however, drug testing is imperative. Each employer must engage in its own cost-benefits analysis to make this determination. Please remember, in some states, like Maine, drug testing policies must be approved by the state’s Department of Labor or corresponding agencies. arbitrary testing (e.g. on an anniversary date). Each employer must tailor their drug testing policy to fit their needs to maximize employee safety and performance while avoiding unnecessary liability for violating employees’ rights to use marijuana. Before creating DFWPs, employers should check for state and local guidance and make sure there aren’t legally required drug testing requirements for their businesses or for certain types of their employees (for example transportation and a long list of other sensitive positions). Additionally, some states have developed extensive drug testing laws for all employers. California, for example, has laws in place to guide preemployment testing, examination announcements, authorized laboratories, testing standards, required components of a drug test, consequences of drug use, reasonable suspicion of drug use, employee rights, records and confidentiality, and appeal of disqualification. General guides about state drug-free workplace and drug testing rules may be found here and here. America’s marijuana laws are in conflict, and this creates difficulty for employers as well as employees. 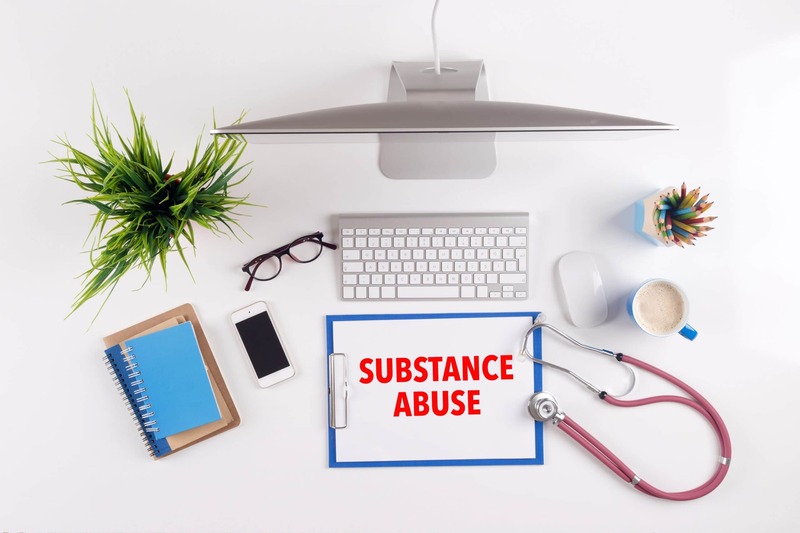 These conflicts may be addressed, however, with carefully researched and written workplace policies concerning employee drug use. Human resources consultants and legal professional can provide the guidance employers need to be confident they are prepared for the shifting laws on marijuana use.